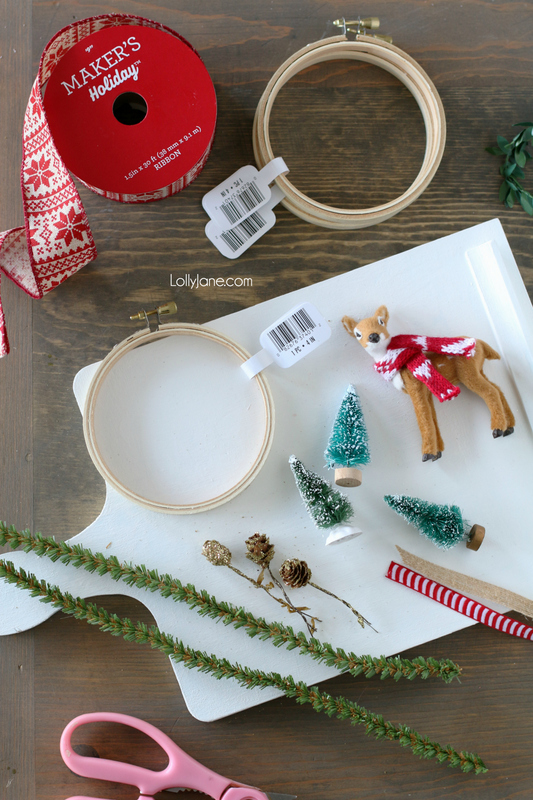 Today’s post is sponsored by JOANN. As always, opinions are our very own but we really do love JOANN! 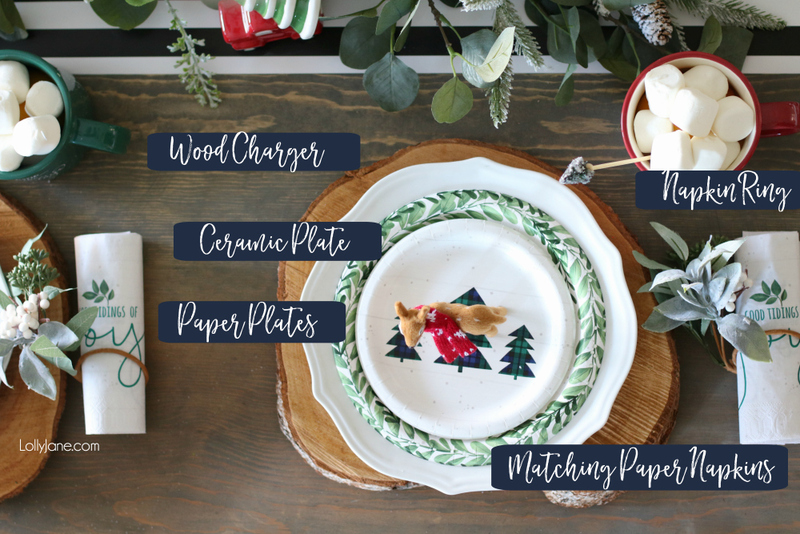 Put together an Easy wintery Christmas tablescape, complete with mugs + cocoa!, in just a few steps and without breaking the bank! *Affiliate links may apply. See our disclosure here. 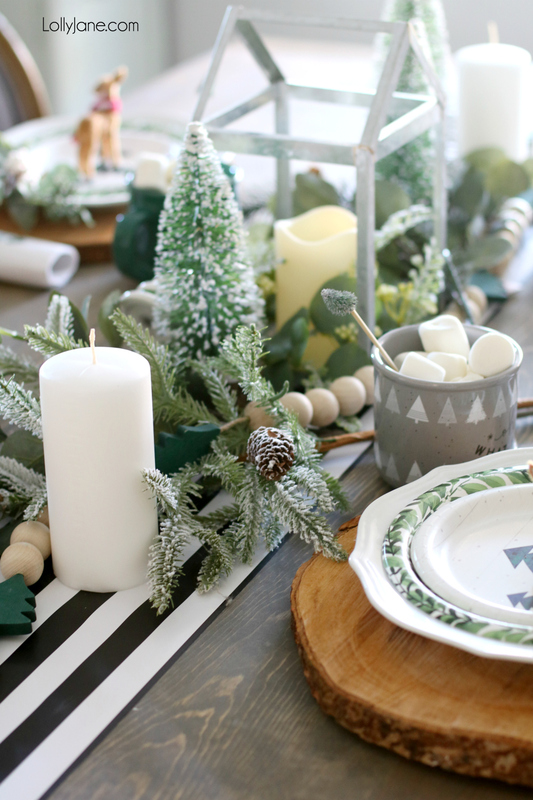 I can usually whip up a tablescape in a matter of minutes because I have a little system that works– you’ll be able to create one yourself with these 5 easy tips! 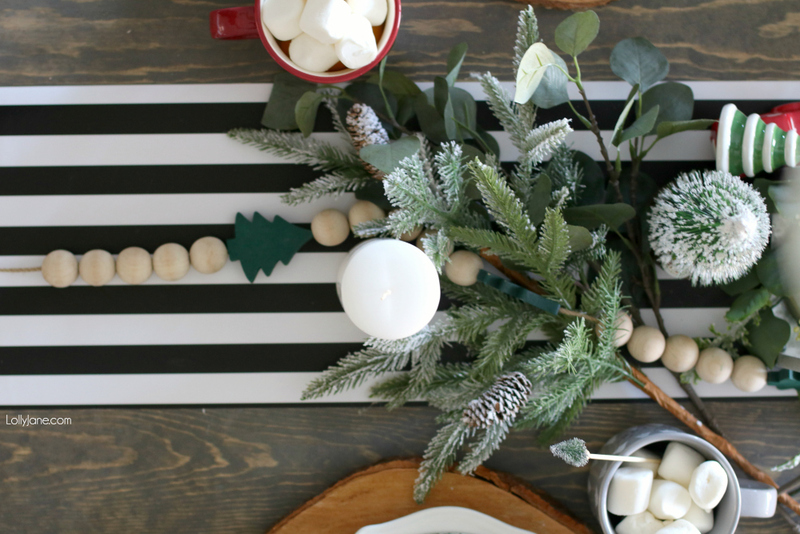 Start with a Table runner: Your table runner sets the tone for the “theme” or color scheme anyway. Note that this does NOT need to be fancy… we used a roll of paper and simply unrolled it and let it hang off both ends of the table. BAM. 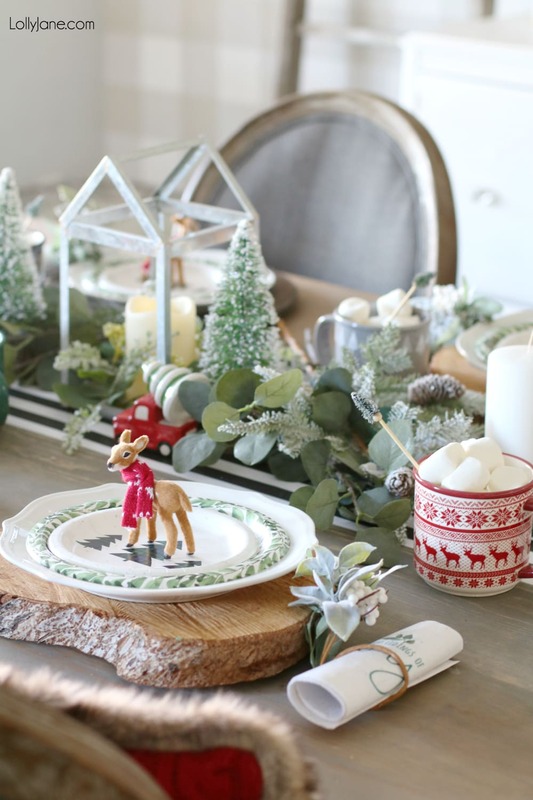 Fill decor (like candles/candlesticks, trees, florals, vases, etc.) around your centerpiece. 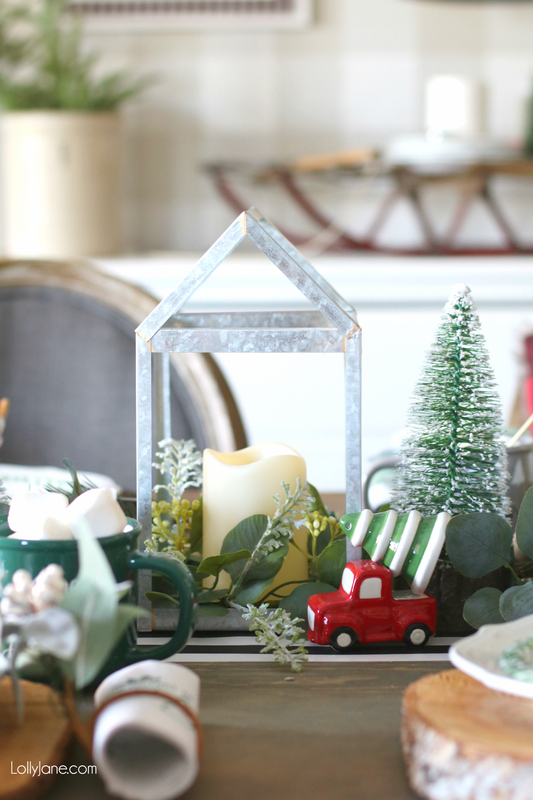 We found this super cute metal house faux candle (that glows so pretty!) and knew it would be the perfect centerpiece. 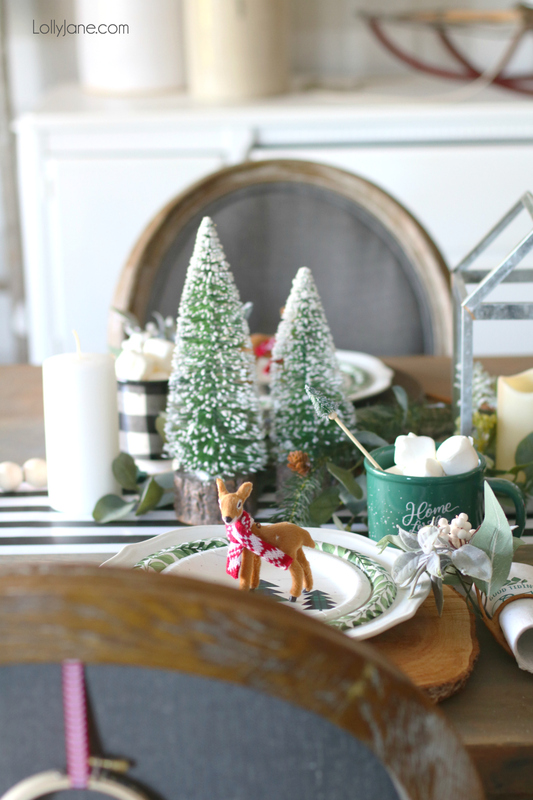 After I set it in the middle, I added some bottle brush trees, dollar store candles, and a wood beaded garland with the cutest green trees on it (also from JOANN) that bring some warmth to the space. Also spied at JOANN was this adorable vintage truck with tree salt & pepper set so I snatched it up and set it on the table directly. 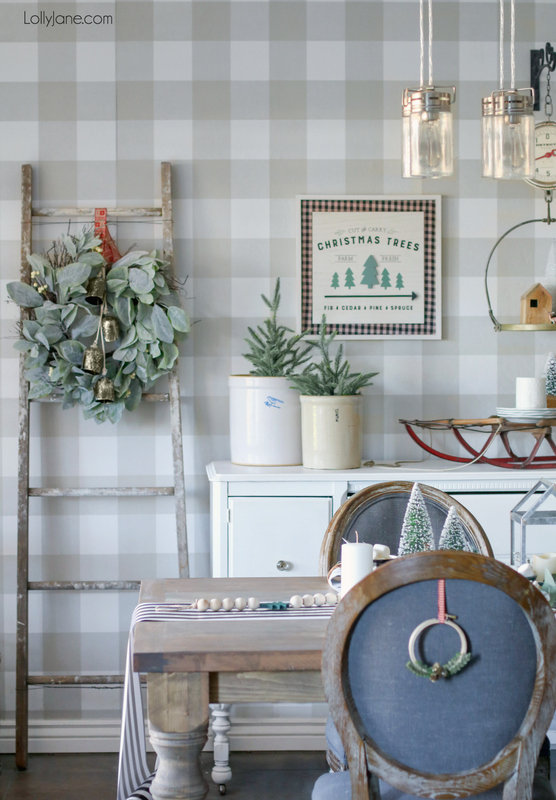 Little ways to bring the theme in without breaking the bank is our jam! Lastly, extend your theme to your surroundings. 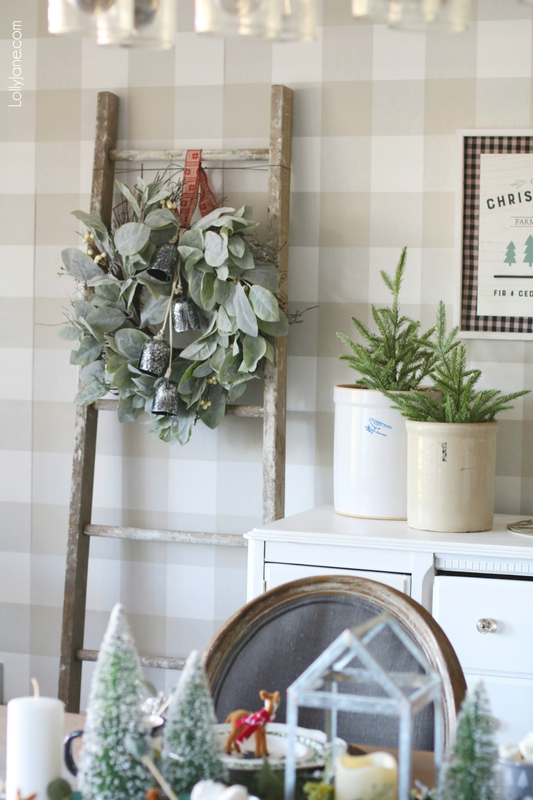 I propped up an old ladder and hung the prettiest wreath from JOANN on it with some of their beautiful Christmas ribbon, then tied bells to the front. So easy! 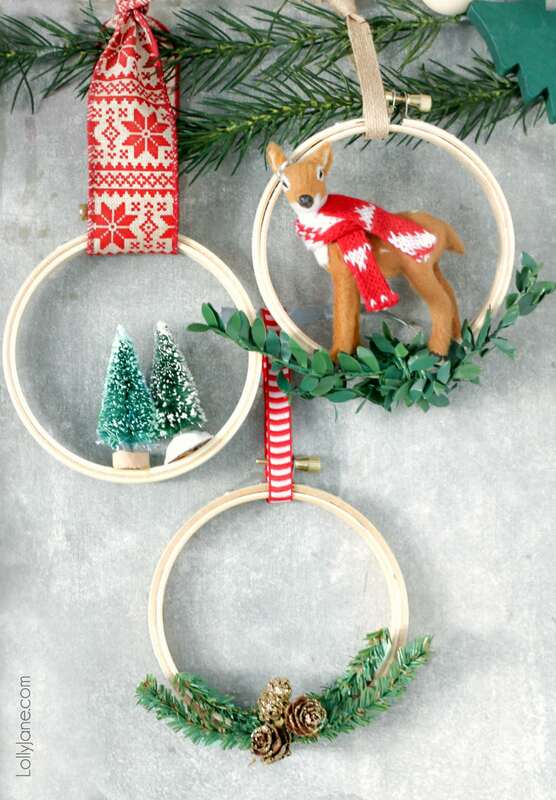 You can see the full tutorial for our DIY Embroidery Hoop Ornaments on the JOANN’s app or here. 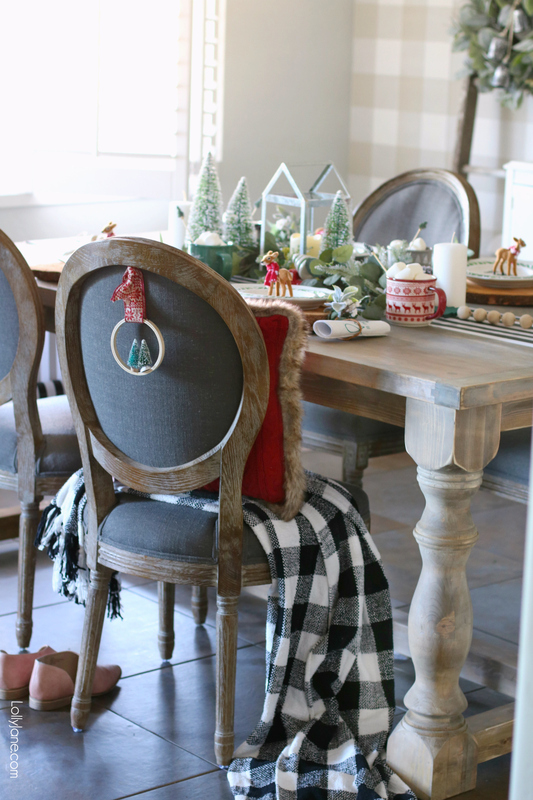 Here’s another peek of it simply pinned underneath the ribbon onto my chair. So cute! 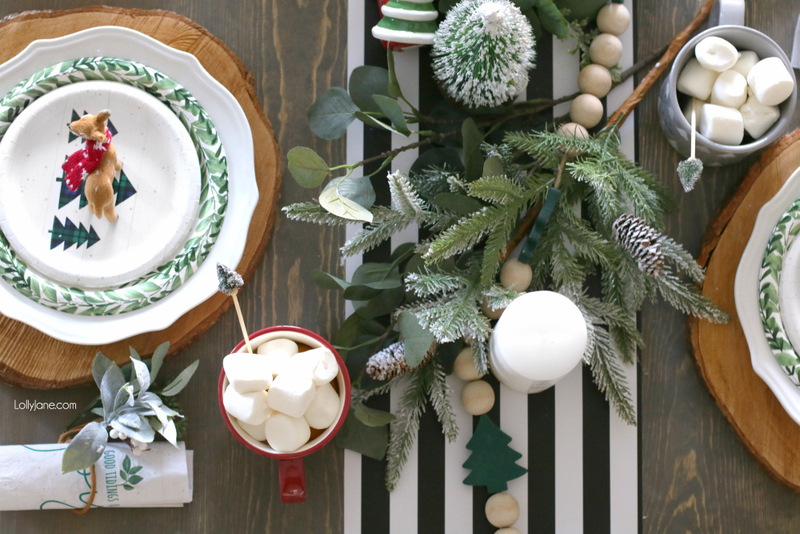 Where did you find your Christmas tree stirs for the hot cocoa? 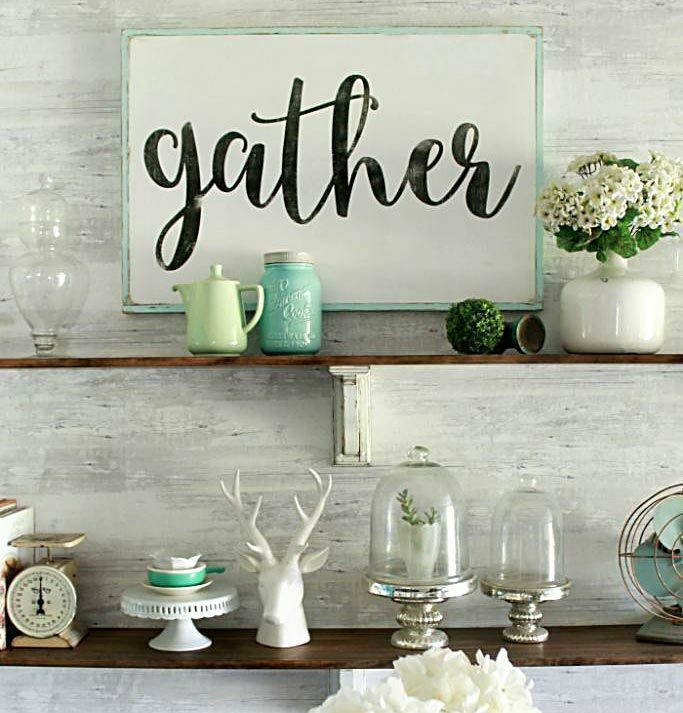 How long is the wooden bead garland? 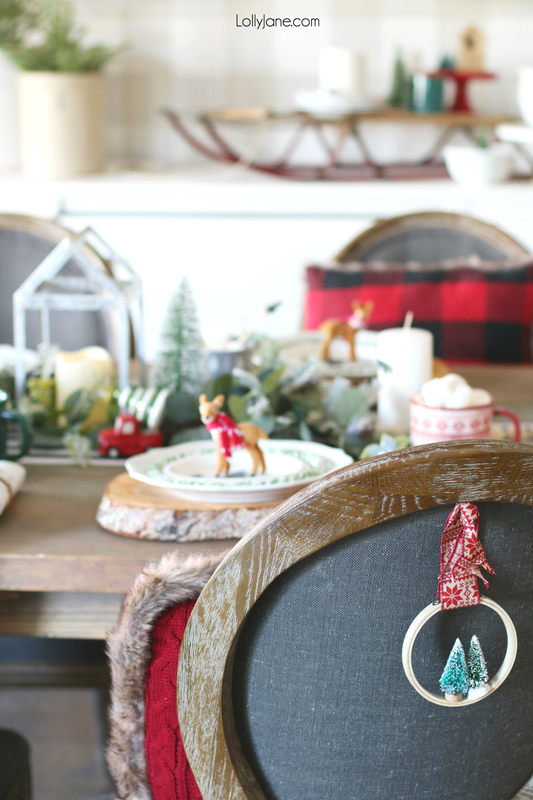 Did you only use one strand for your table?